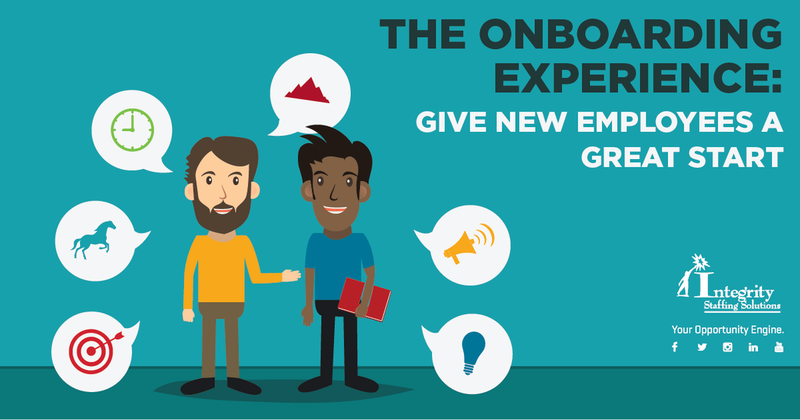 Did you know that your onboarding process can significantly affect employee success? One study found that it can increase retention by 25% and improve performance by 11%. Employees who participate in an onboarding program are 69% more likely to stay with a company for three years, and 15% said that the lack of one contributed to their decision to quit. At Integrity Staffing Solutions, we onboard thousands of associates and staff members per year. We believe that having a checklist is the crucial first step in ensuring that every new hire gets consistent support and guidance as they assimilate into our culture. Here are some of the points you might want to put on your checklist. Prepare paperwork, benefits package, policy manual. Discuss employee's duties with his/her immediate supervisor. Formulate job description with responsibilities, chain of command. Set up workstation, provide necessary tools. Create email and any other accounts. Explain company culture and expectations. Provide information about company's clients. Introduce to other departments he/she will be interacting with. Review onboarding progress, answer questions. Many HR experts believe that the onboarding process should continue for six months to a year, with regular check-ins for feedback and support. And a well-planned program can decrease mistakes and increase morale for years to come.